"It Isn't just a picture you get, but a memory"
I'm a 20 something wife, mom and avid believer that Dr. Pepper can fix almost anything. I didn't always know I wanted to be a photographer but I will be forever grateful that photography found me. I find myself constantly amazed at how quickly life passes by and I am forever grateful to have precious moments saved in photographs forever. And that is why Charissa Lee Photography exists. Because all memories are worth being captured forever. "Her technique is so timeless in that I know I'll always love my photos! We were laughing the whole time with her! She was so encouraging and genuine about us! " 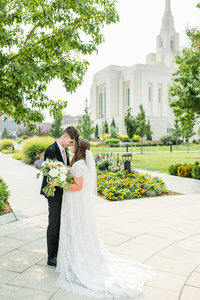 "She captured our wedding day perfectly, including all the tiny details I worked so hard to put together. Her pictures have a beautiful, bright, timeless look and I will cherish them forever!" "I am so glad I picked her to capture so many special moments! She's easy to talk to, helpful, and so sweet! She isn't just a photographer to me but a friend as well and I'm so grateful I found her! " "Charissa did an amazing job with our daughters pictures. We got so many amazing pictures back and each one captured our girl perfectly. The quality was great and she was so accommodating and easy to work with. I will definitely work with her again! "